The City of Birmingham, Alabama was founded in 1871. Twenty-two years later the St. Paul’s Cathedral was completed at an estimated cost of approximately $90,000. 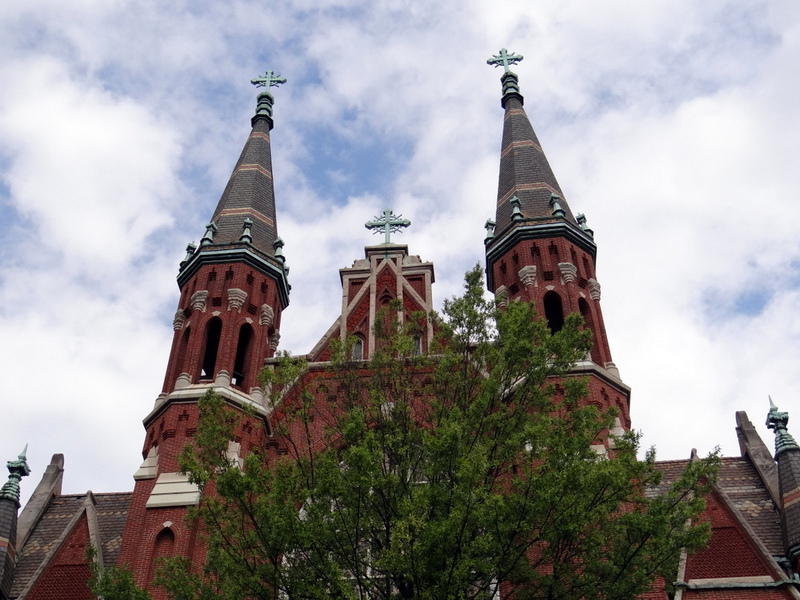 Designed by German born architect Adolphus Druiding, who immigrated to the United States in 1865, left his legacy designing over forty-one Roman Catholic churches throughout the Midwest. St. Paul’s Cathedral is a classic example of gothic style architecture. It is 96 feet wide by 140 feet long and has twin octagonal slate spires rising to 183 feet. The red brick and white limestone walls provide a solid base for the slate roof. After noticing cracks in the plaster above the organ, it was discovered that the roof was in need of repair. 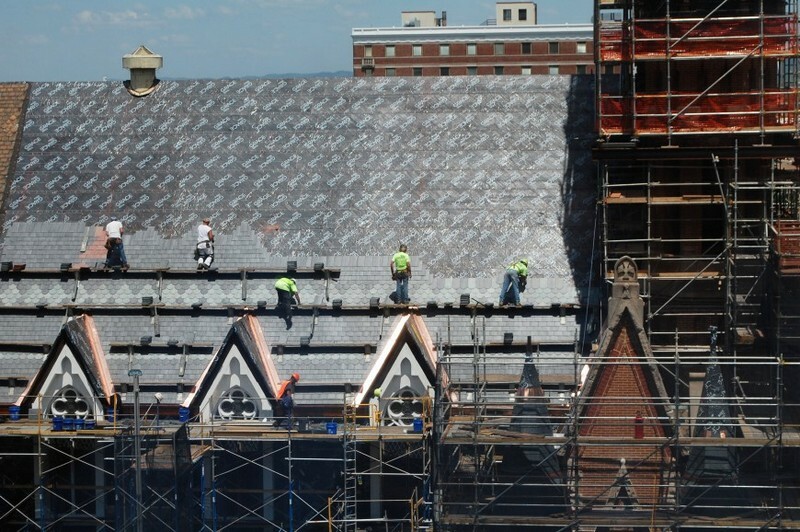 In 2010, $40,000 was spent to temporary patch the roof. Thorough examination showed that the original 120 year old slate roof should be completely replaced, along with the copper crosses, decorative finials, electrical system, lighting, mortar and brick. 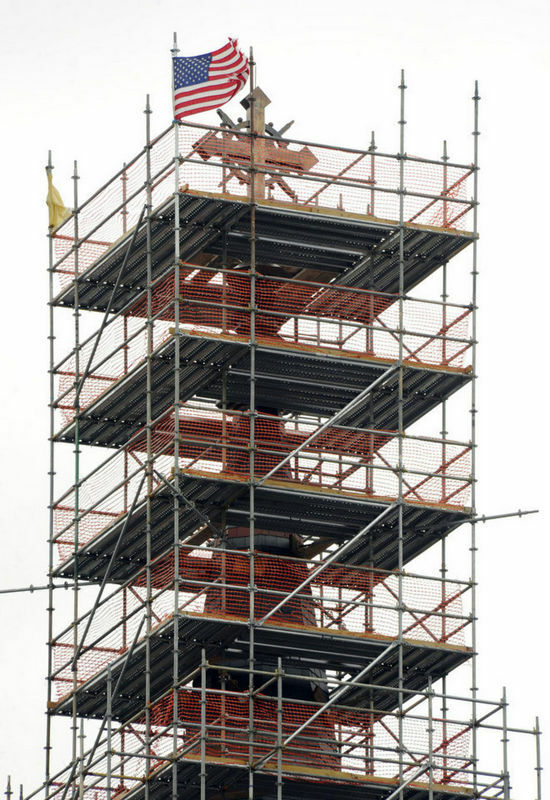 On November 21, 2013, the entire cathedral was enveloped in elaborate scaffolding. 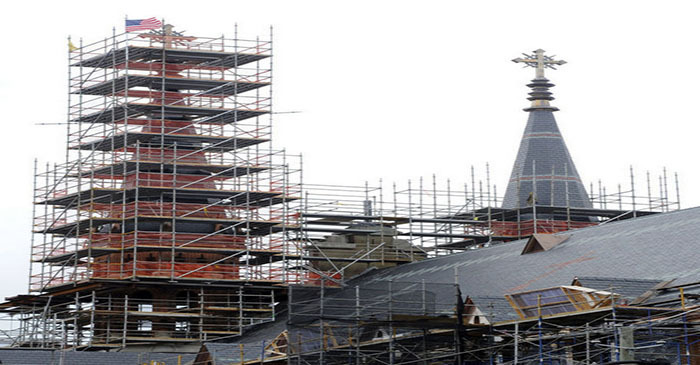 The estimated renovation costs were $6.5 million. St. Paul’s Cathedral is the mother church for the Roman Catholic Diocese of Birmingham, Alabama and required all churches in the diocese to help raise funds for the renovation costs. Funds were also raised through selling off roof ornaments, donations and a loan. 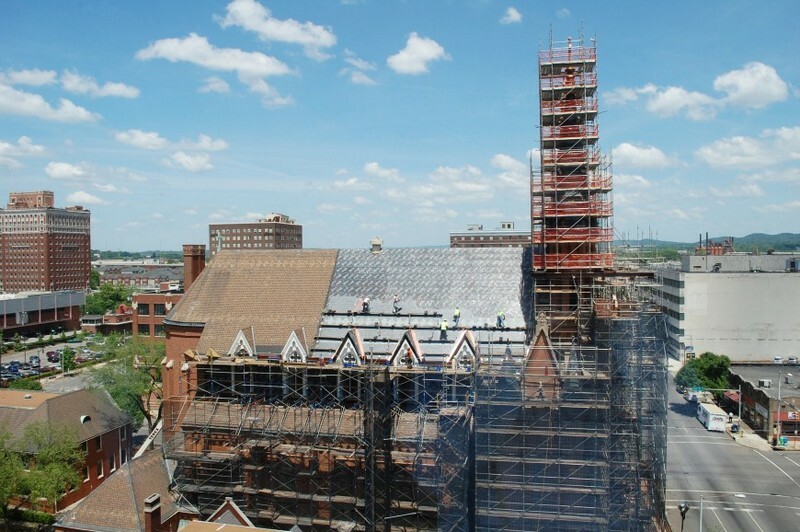 The project ended up being ahead of schedule, just in time for the 121st anniversary of the building’s dedication on November 30, 2014. Our North Country Unfading Black 16” x 9” x ¼” was selected as the replacement field slate (166 squares). An additional 4920 pieces of 16” x 9” x 1/4” were individually hand cut to match roof pattern. We also supplied 21 squares of our North Country Unfading Green (16” x 9” x ¼”) and 18 squares of our North Country Unfading Red (16” x 9” x ¼”). The current pastor, Kevin Bazzel, hopes the renovated building will last another 120 years!